Apricot kernel and jasmine green tea work hand in hand to exfoliate and buff away dead skin cells to reveal a fresh smooth brand new complexion. Over time, the fine abrasiveness of the apricot kernels can help reduce the appearance of fine lines and wrinkles as they slough away the old damaged skin cells and allow new cell regeneration. Rice flour is included for its high concentration of natural PABA. PABAs help screen out some of the suns harmful rays and help protect your skin against skin damage. A great supplement to your existing sunscreen regimen, but by no means a replacement. Rice flour also contains two other sun protecting agents – ferulic acid, an antioxidant, and allantoin, known for its anti-inflammatory properties. Cedarwood and Ylang Ylang essential oils complement this skin smoothing formula and are both known to help treat acne afflicted skin and dermatitis. Ylang Ylang also may help boost skin elasticity for more youthful, radiant skin. 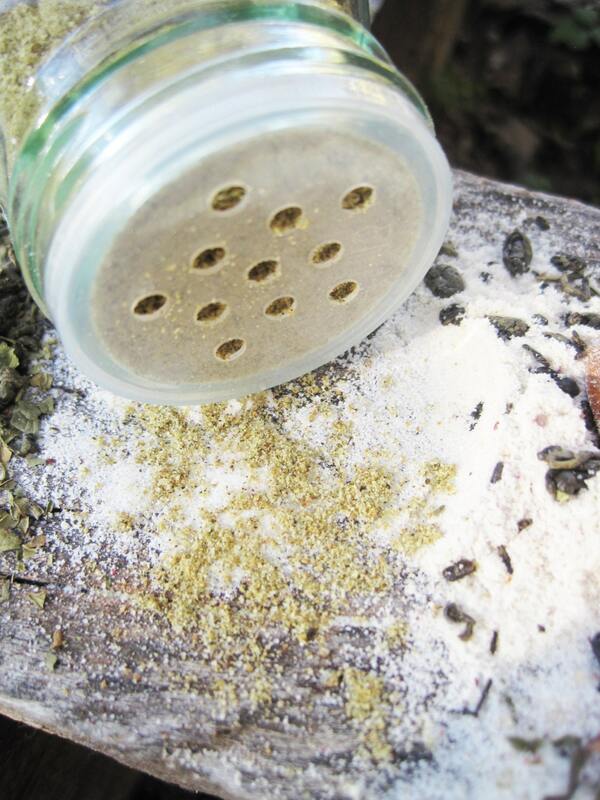 Product offered is approximately 2.5 oz contained in a recyclable glass jar, with a shaker fitting for ease of application. 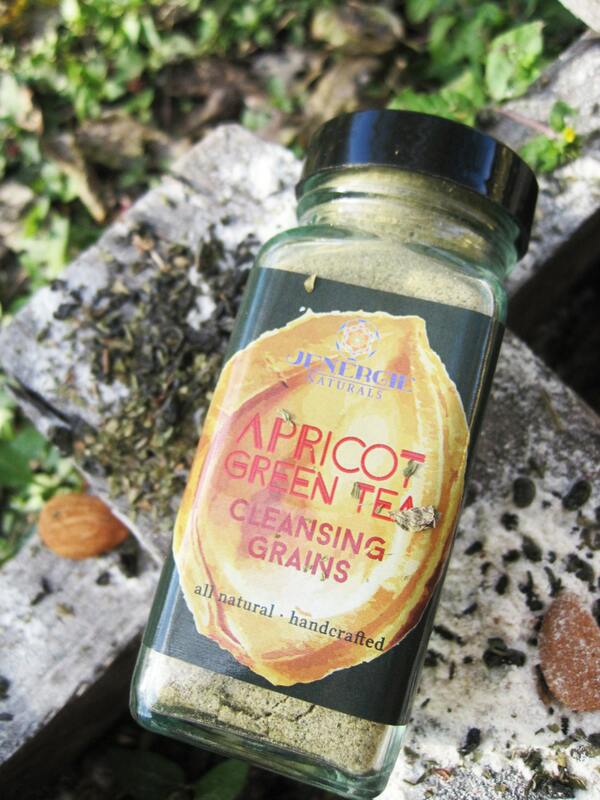 To use Apricot Green Tea Cleansing Grains: Place a quarter sized portion of grains in your palm and moisten with water or oil of your choice (perfect supplement for oil cleansing routines) to desired consistency. Rub product into your skin using circular strokes and then rinse off for super soft clean skin. To use Apricot Green Tea Cleansing Grains as a fortifying mask: Place a silver dollar sized portion of grains in your palm and moisten with liquid of your choice (yogurt, avocado, honey are just some ideas) until it reaches a paste-like consistency. Smooth mixture onto face in upward strokes. 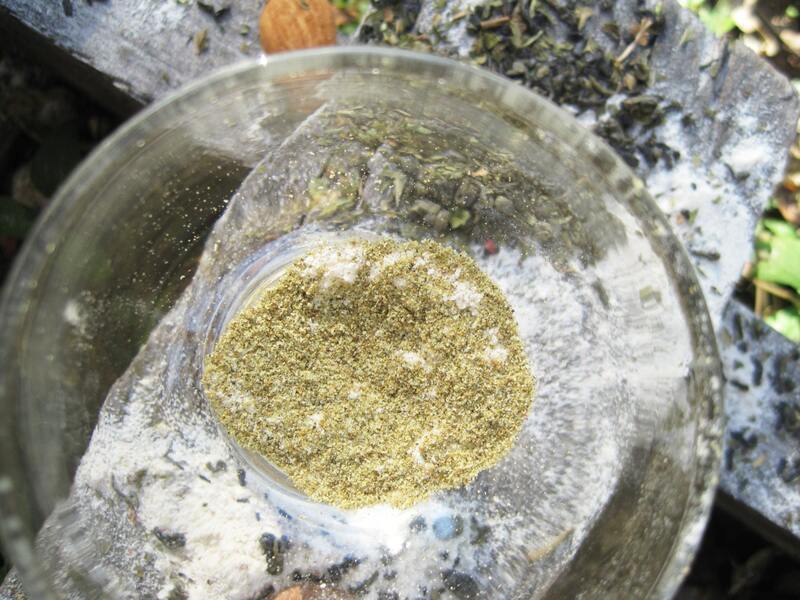 Let the botanicals work their magic for 10-15 minutes and rinse off. Voilà! **** As with any skincare product, please first test on a small area for any sensitivities. ****This product is not intended to diagnose, treat, cure or prevent any disease. ****This product contains Cedarwood essential oil, which is contraindicated for use while pregnant! ****Please consult your health practitioner before using products with essential oils if you are pregnant or breastfeeding.